Dubai, UAE, August 14, 2018: SAIC Motor has achieved its highest ever position on the Fortune 500 list, ranking first among Chinese auto companies. Appearing on the prestigious list for a 14th consecutive year, SAIC Motor has been ranked No. 36 by US-based Fortune magazine, five places higher than the previous year. The accolade follows the brand achieving a sales revenue of 128.819 billion US Dollars and car sales of 6.93 million units in the 2017 financial year, a 6.8 percent increase on the previous year. Already well established globally, SAIC Motor has sales networks in 13 core countries and regions including ASEAN, Middle East, Africa, Europe and Oceania, as well as an innovation centre in Silicon Valley. As the largest auto manufacturer in China, the brand ranked 7th among all global automakers on the Fortune 500 List, ahead of brands such as BMW and Hyundai. SAIC Motor is at the forefront of global technological innovation, delivering significant achievements in a number of areas related to the development of the cars of the future, such as new-energy cars, connected vehicles and automated driving. In the first half of 2018, SAIC Motor's sales volume of new-energy vehicles amounted to 57,000 units with a year-on-year growth rate of 275 percent a growth rate more than twice the market average. As part of this global focus, SAIC Motor has been expanding its presence in the Middle East since opening its headquarters in Dubai's Jebel Ali Free Zone in November 2015. Recently, the brand has introduced a fresh line up of vehicles to the region under the MG Motor brand, including the MG RX5, MG ZS and MG GS 2019. 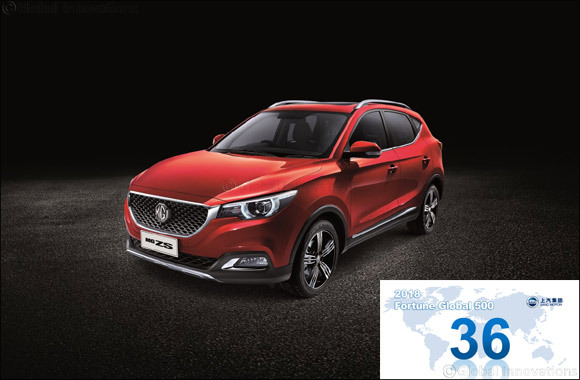 MG Motor has also expanded its distribution network with the appointment of new partners in the UAE and KSA within the last 12 months. Previous Story : The new BMW X7 undergoes endurance tests under extreme conditions.